Mr. Toad and Middle Son are going on a Boy Scout snow camping trip. I find it difficult to believe anyone would actually plan to sleep outside in the snow. In fact, they are driving from our unseasonably warm weather to the snow in order to get out of a nice warm car, set up a tent, eat canned food, and sleep in the snow. Not really my idea of fun. While they are out "having fun," I'll be home sewing, eating nice healthy food and sewing. While I knew about the trip, I just found out that Mr. Toad needed a new pair of long Johns. 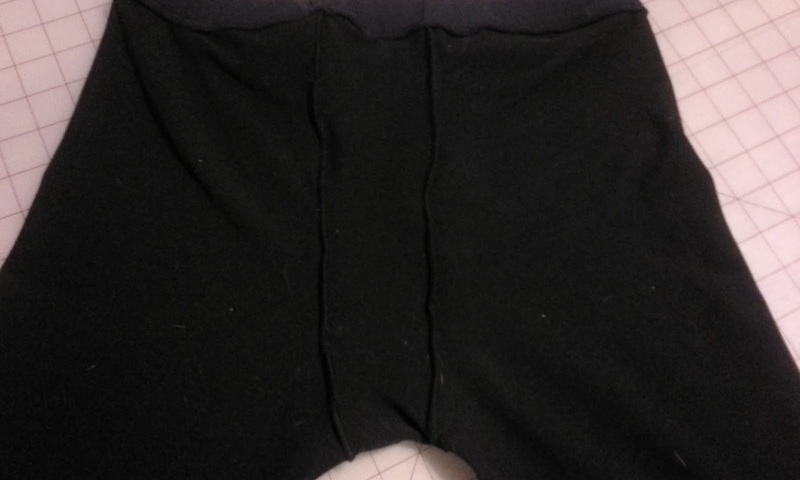 Since he looks uncomfortable in the pair he has--you know the saggy rear, too short, bunching in the crotch--I didn't want to go out and buy another ill fitting, uncomfortable pair. Beside, I already had everything in my stash. Isn't that why we have a stash? I started out this morning searching for the pattern that I knew was already printed. Of course I couldn't find it, so I printed it again. That is the beauty of having a downloaded pattern. 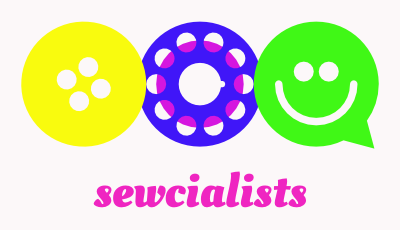 That and that it is fast to get at 2 am, or whatever time one decides they must sew something. This pattern is 64 pages--two sheets of 32 that needed to be taped together. Not fun. I was able to get half done before leaving for church. 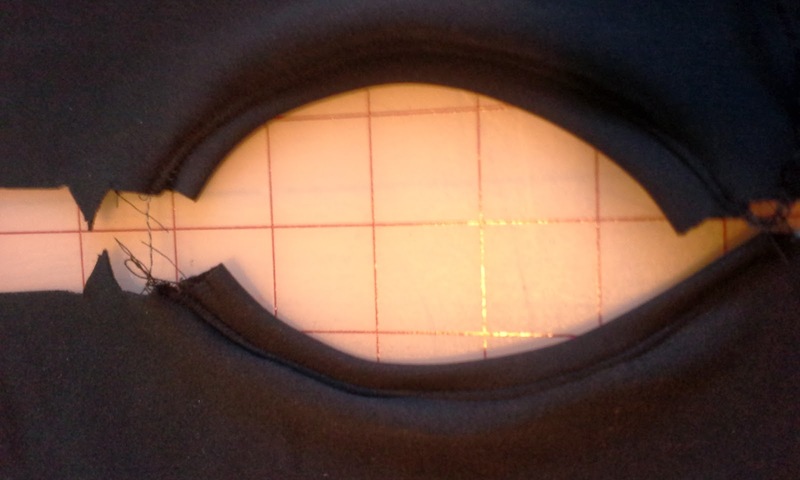 I managed to keep the rippling to a minimum while I traced the pattern. 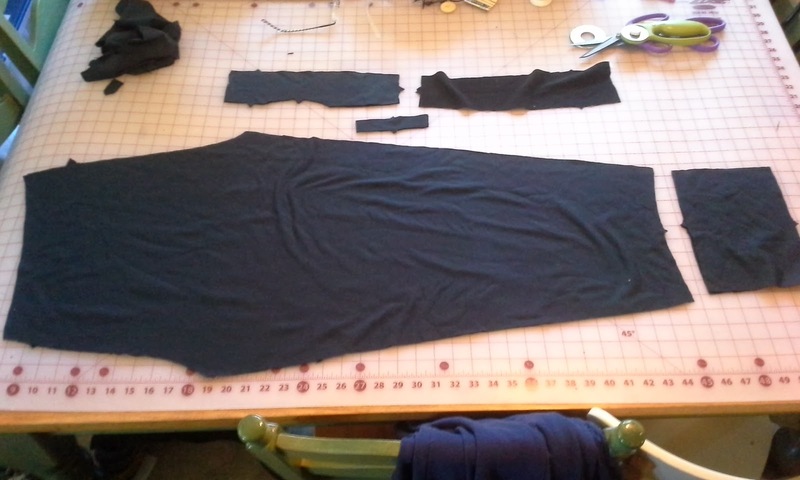 While I was tracing I decided to also trace the additional piece for making these as the boxer briefs as well. Last year, I made Middle Son a couple of pair of long John's for a different snow camping trip. He doesn't like snow, cold or dampness, I don't know why he thinks he wants to do this. I tried two thicknesses and loved both. Unfortunately, I only had the regular polar tech from Rockwoods.com left. It is thicker than the long John's I can buy locally and I haven't looked too much online so I really don't know what is out there. The pattern is pretty easy to put together. The front fly is baffling, but Jalie makes it simple. Words don't do as well as their wonderful illustration in the directions. 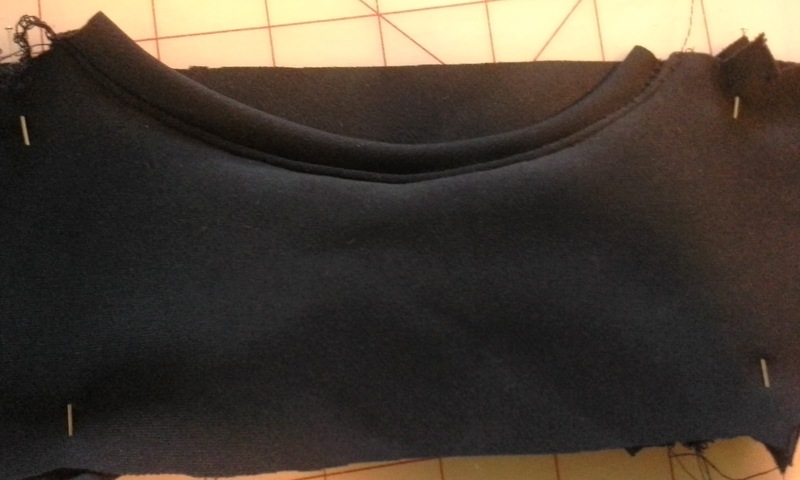 I actually used the serger to attach the trim on the fly and the sewing machine with the stretch stitch it stitch it down. Once the trim pieces are stiched on the fly, the fly pieces are attached to the back panel, by sandwiching the back panel between the two front fly panels. 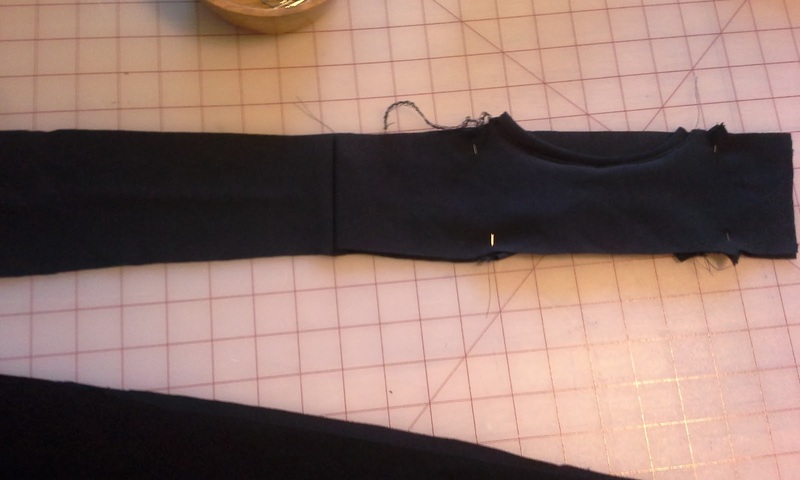 Then, the inseam is sewn and the panel is sewn to each side. 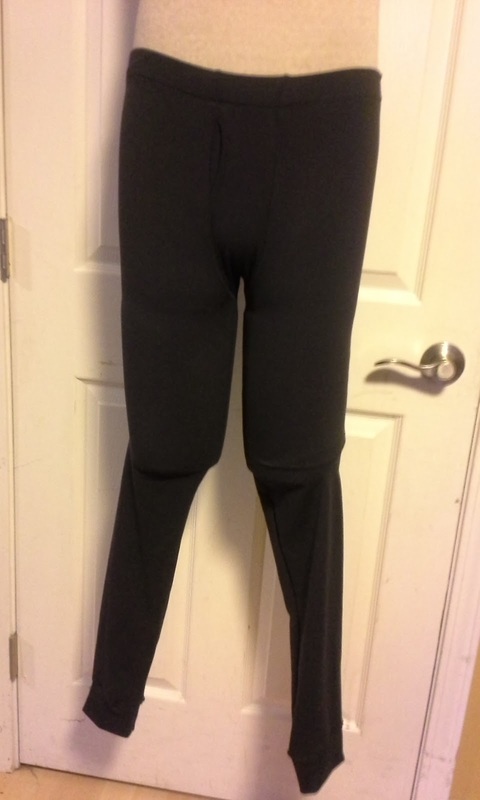 That is just about it, except for adding the leg cuffs and the waistband. 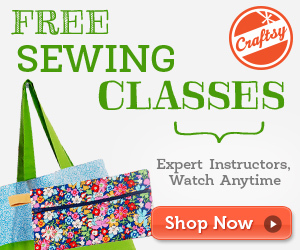 This is a really quick sew. 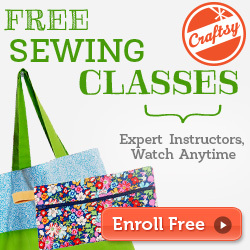 unless your serger is having a bad day and you need to change threads several times. 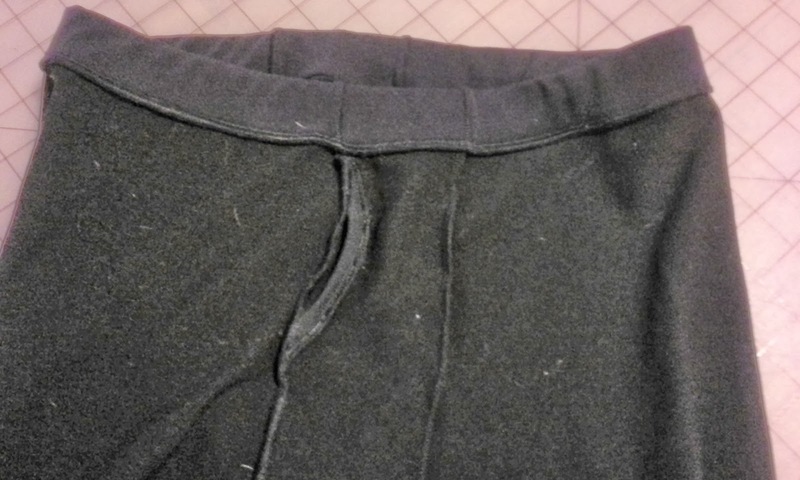 and have to undo all the serger stitches because the threads keep unraveling, and if you don't put one of the cuffs on inside out. All of which happened to me. This has taken me less than 2 hours to pull everything out, thread the machines, cut the fabric, sew, and clean up. Today took a little longer because of these minor issues, but only an additional hour. but it is necessary for this pattern. It is just comical to me. I don't feel comfortable putting Mr. Toad's picture online in what is basically underwear. So, Manny and his half legs will have to do for this project.